Joining a biker gang, or "motorcycle club," takes more than just a motorcycle and a cool nickname like Jax, or Opie. You have to be willing to do anything for your fellow members, like going to prison or taking a few hits for them! It also means sporting the SAMCRO symbol 24/7. This Adult Sons of Anarchy Mechanic Jacket makes that portion pretty easy with their logo right on the back. Having the guts to go to jail to save your best buddy might take a little practice though! Some babies were born with skull tattoos on their arms and a leather jacket on their chest. 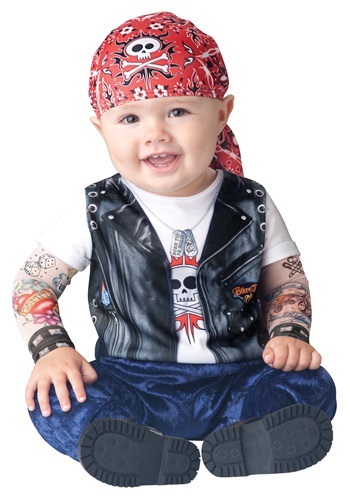 For all the rest of the little ones not as lucky, you can always just dress him up in this biker costume. It's got all the rugged looks of a road toughened biker, but it doesn't come with all the extra side effects of being in a motorcycle gang. This black vinyl biker hat for adults is just right for establishing yourself as a rough and rowdy king of the open road. Wear it to join a biker gang, the Village People or just to browse though your local Harley shop. Where'd you park the Harley? 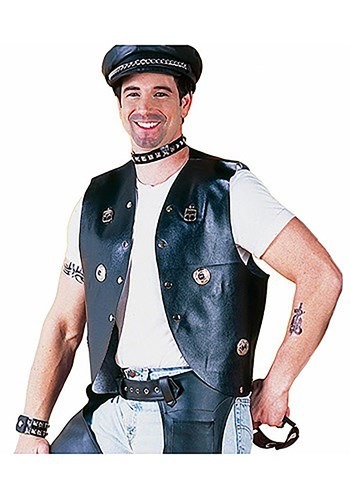 Look like you are part of a mean biker gang when you wear this Biker Vest. You'll intimidate all the other dudes in the bar when they get a look at your buff arms! 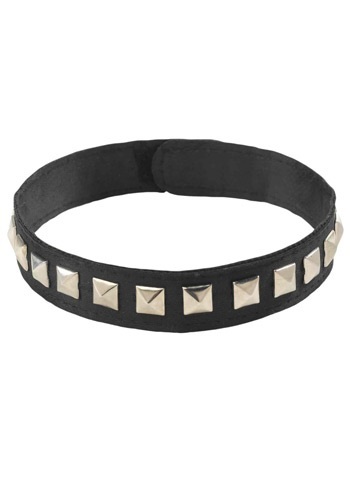 Drive your costume to the edge with a Black Studded Choker. It’s so versatile you can wear it with the costume of your choice, except for Renaissance I’m pretty sure they didn't have them back then. If they did perhaps it would have been worn by the more scandalous women. Are you raising a little hell-raiser of your own? Before he's old enough to ride a motorcycle by himself, you're going to have to teach him how to look tough. 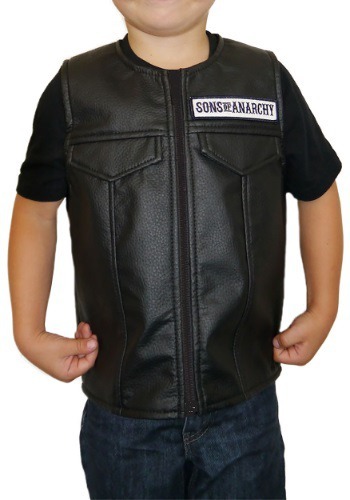 It starts with this Child Sons of Anarchy Costume Vest. It's based on the gear worn by the members of SAMCRO, so you know it's got the tough-guy biker look he needs to be one of the gang. We just weren't cut out for the life of a motorcycle gang member. All the gunfights and brushes with the law is just more than we can handle. That doesn't stop us from dreaming about it though! This Plus Size Sons of Anarchy Twill Highway Jacket makes anyone feel like one tough hombre from the TV series. Throwing on this denim jacket won't actually turn you into a tough biker gang member, like Jax Teller, so you may want to re-think your desire to start a bar fight while wearing this one, licensed from the FX series, Sons of Anarchy. Besides there's plenty of other tough guy stuff you can do while wearing it, like grow a beard and sneer other tough guys. That way no one has to get hurt. The jacket is pretty rugged though, so if you do happen to get in a fight, it'll probably survive it. Keeping up the tough guy image is important for a biker and when you wear a leather jacket with a skull on it, you pretty much say to the world, "Don't mess with me, or I'll mess you up." That's basically what this Sons of Anarchy Jacket says. Well, it's a jacket, so it really doesn't speak, but you get the idea. Normally, you have to commit some crimes and become a full blown member of a biker gang before you can wear a jacket like this Sons of Anarchy Twill Highway Jacket. The good news is that SAMCRO is a fictional motorcycle gang, so you can wear this one even if you're not quite ready to do the kinds of things that will get you sent to the slammer. You can wear it just because you like Jax Teller. It's fully licensed from the show and is great as every day wear, or your costume based on the show. Hey tough guy! 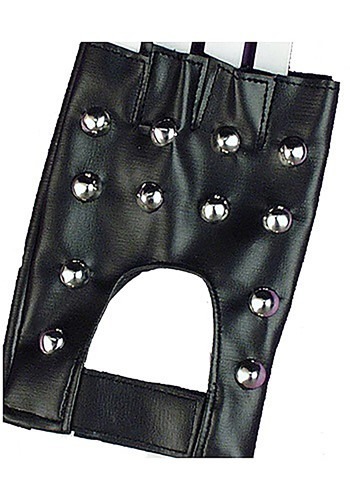 You can expect comments like this and more once you’re in a pair of Studded Biker Gloves. Don’t worry, no one will want to pick a fight…we make no promises. Tattoos are permanent, painful and often end up being the subject of regret when you realize that you really aren't in love with "Jessie". Then you have to spend even more money on even more painful removal techniques, or cover up work. 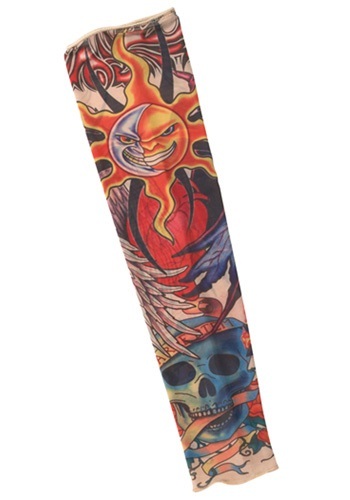 We're not saying that you shouldn't get some ink, we're just saying that these handy sleeves can be a lot less of a hassle. Are you looking for a piece of clothing that screams, 'don't mess with me.' Maybe something that says, 'I'm headed to the bar on my motorcycle and perhaps I'll get into a bar fight?' Look no further because we have the perfect item of clothing just for you. Wear this Women's Sons Of Anarchy Denim Highway Jacket and you'll look like a fashionable member of SAMCRO . If you're a tough chick you're use to run ins with the law. Gunfights, scuffles, and bar brawls are all just regular occurrences when you're a member of the outlaw motorcycle club. If you're proud of your tenacity, wear it loud and proud. 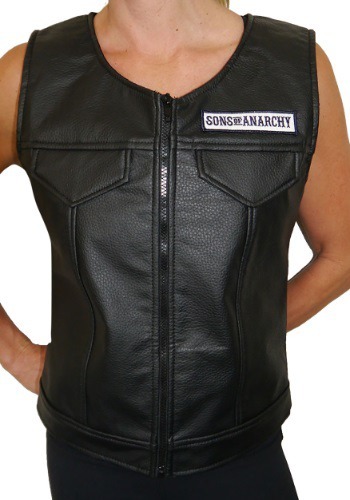 This Women's Sons of Anarchy Faux Leather Vest will stylishly put your rebellious personality on display.